The Whirlpool GT285BL is a 25 litre black grill microwave, featuring 700w of power together with a 900w grill. Decent build quality, works well, and looks good. Depends on whether you like black or not. 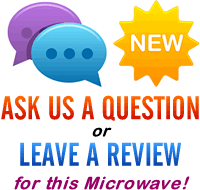 Looking to purchase a reliable microwave with a grill function? 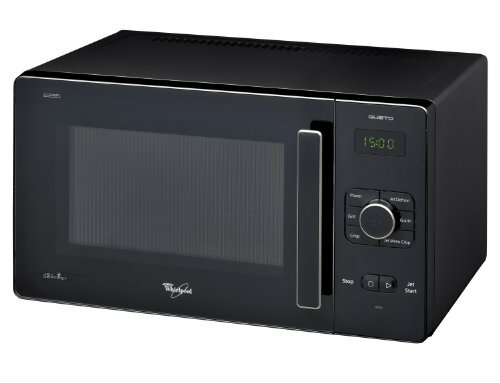 The Whirlpool GT285BL is a mid sized (25 litre) grill microwave, featuring 700w of power when in microwave mode, and 900w when in grill mode. There are 6 different power levels, including the excellent jet defrost function. In terms of size, the GT285BL measures 29.9cm by 52.1cm by 39.1cm externally, and the interior is 20.0cm by 32.6cm by 32.0cm, featuring a 28cm turntable. The controls are well labelled and very easy to use, with the display being both clear and easy to read. Overall build quality is good, and during the test period it worked well, with our test team impressed. It left no cold spots nor uncooked areas, and the grill worked beautifully. If you like bright kitchen appliances then this might not be the colour scheme for you - however for those who like plain and understated appliances, then this model will appeal - finished in a sleek black colour scheme, albeit with a grey back panel. A decent mid sized grill microwave from Whirlpool. If you're after a reliable microwave with a grill function, then the GT285BL is worth taking a closer look at.